Our approach to successful projects starts with managing and controlling the project's 4 Key Elements during this evolution. These keys are: COST, SCHEDULE, QUALITY and SAFETY. When these items are managed properly through all 5 project phases, the owner is guaranteed a successful project. We place an emphasis on team communication and client satisfaction. We have a well-defined approach to execute projects with over 25 years of experience. Listed below are the services we provide and deliver in the most expeditious and cost effective manner. Construction Management (CM) is a service of representing the owner of a construction project. In this scenario, the CM does not provide construction - only management and owner representation. The CM manages the General Contractor or Subcontractors that are working directly for the owner. 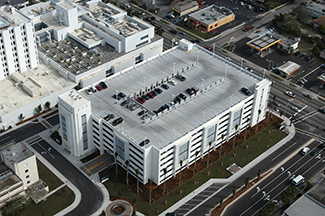 The evolution of every CM Project goes through 5 distinct phases: Master Planning, Preconstruction Services, Procurement, Construction and finally Close-out & Occupancy. Construction Management at Risk (CMAR) is a collaborative approach, where the owner selects the builder at approximately the same time as the designer (if not before.) The CM and designer work in a collaborative arrangement towards the owner's design and budget goals. During Preconstruction, the design is monitored and compared to the Owner's Budget. Once the design is complete, working within the owner's budget, the CM prepares a Guaranteed Maximum Price (GMP) to establish the contract value. The CM is "at Risk" to perform the agreed scope of work for the Guaranteed Maximum Price or Less. Usually CMAR is an "Open Book" approach where the owner is aware of all budgets and contingencies. At the end of the project a final accounting is prepared and a portion of the savings from construction revert back to the owner. Manage the overall coordination of the project and hire all Subcontractors to perform all portions of the construction. Crowley Services, Inc. specializes in Public, Private, Commercial & Residential sectors. Design-Build is an integrated delivery process in which the Construction Manager controls the design process (hires the designer) in addition to construction. By combining design and construction and eliminating conflicts between designer and builder, the design-build process can deliver a project faster than the conventional design-bid-build approach. Additional benefits to this approach are that it gives the owner one point of contact. Preconstruction Services happen during design and before any construction begins. 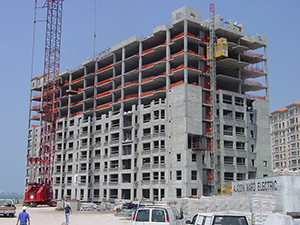 Preconstruction is the SOLUTION to the Design-Bid-Build delivery equation. Since the plans are complete before they check the price, owners that use the Design-Bid-Build approach are often greeted with a surprise on bid day. They find out that the plans they have, do not fall within their budget. This unfortunately results in costly delays for re-design. Preconstruction services are predicated on the owner hiring the Construction Manager early to be part of the team during the design process. The builder monitors and collaborates with the design team at critical stages of the design. Milestone estimates and schedules are created to verify that the plans will remain within the owner's budget. Budgets and Scope are reviewed with the owner and design team at each phase of the design. This allows any budget or scope problems to be addressed before the design progresses. 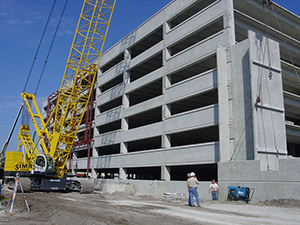 Preconstruction Services are the SOLUTION that can keep your project on schedule and with-in budget. Our involvement in your project will save you time and money. Provide 3rd party schedule and cost analysis to validate planned construction. Represent Lenders & Owners to provide field inspection services to confirm status of construction completion relative to contractor's Application for Payment. Analyze proposed contractor project schedule to test and validate its logic and duration. Advise owner and lender as to potential concerns and foreseeable delays from unrealistic durations and schedule logic. Assist Owners, Lenders & Designers by providing Contractor perspective to their decision making process during master planning and design.